Event co-chairs Asher Goldberg, Lisa Winer and Rebecca Klausner. 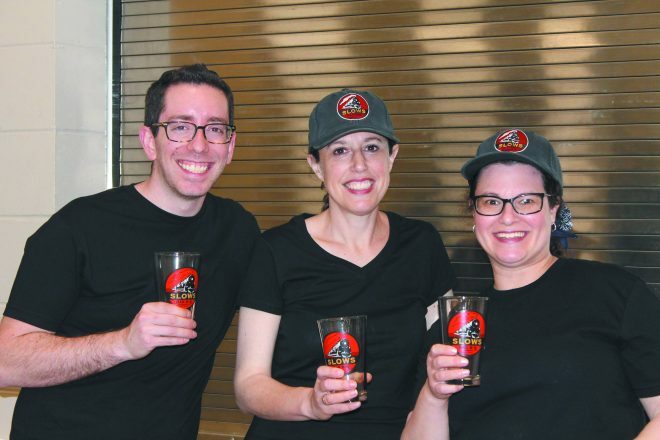 Farber Hebrew Day School teams with Slows Bar-B-Q for a tasty event. 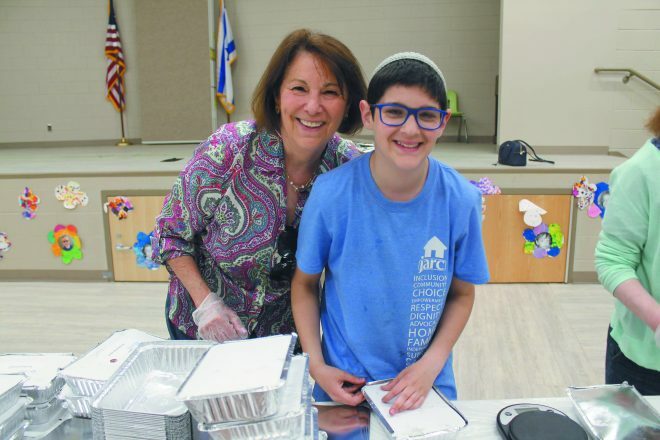 Determined to reach a broader Jewish network this year with a fundraiser, Farber Hebrew Day School (FHDS) in Southfield hosted a kosher barbecue featuring meats smoked by experts from Slows Bar-B-Q in Detroit available for carryout. FHDS board member Asher Goldberg’s love of food, plus his experience with smoking kosher meat at home, sparked the innovative idea of offering kosher barbecue to the Jewish community. 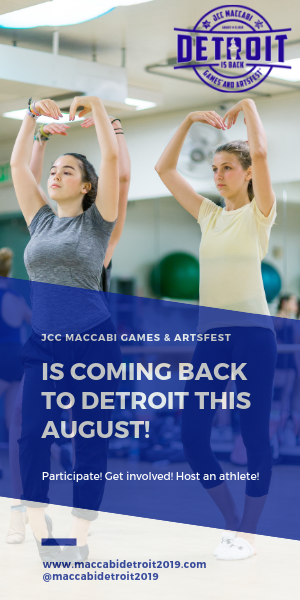 After gaining approval through Rabbi Scot Berman, head of FDHS, the team opted for an interactive fundraising event where Perrone and Metevia would prepare barbecue in the school parking lot. While Winer and Goldberg hoped the school’s kitchen equipment would suffice, they soon realized they would have to make a few extra purchases, including a massive smoker weighing 1,300 pounds. The group also collaborated on the menu, modeling it from popular Slows Bar-B-Q dishes like smoky chicken, tender brisket, melt-in-your-mouth sweet potato mash, jalapeño black beans and their epic coleslaw. Slows Bar-B-Q Chef Michael Metevia mans the new smoker in the Farber Hebrew Day School parking lot. 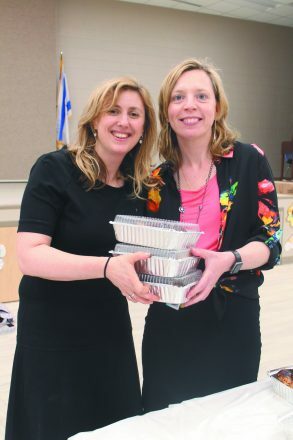 Metevia and Perrone sought out Council of Orthodox Rabbis of Greater Detroit (Vaad)-approved kosher condiments, testing them beforehand to ensure they met Slows’ standards. “They are so particular — they are craftsmen; they are artisans. I think that’s why they have the reputation they have,” Winer says. 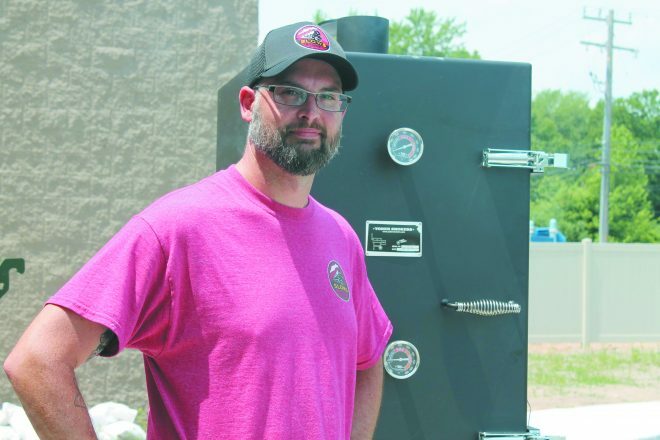 Once the menu was finalized and the smoker was on its way, Goldberg and Winer emailed a flyer to FHDS families featuring the menu and the pick-up date on June 18. In about a week, as word spread, they were at capacity with food orders. Goldberg, Winer and third co-chair Rebecca Klausner were also surprised to reach people beyond the FHDS bubble. 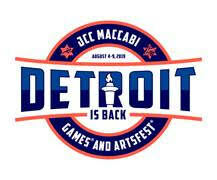 They received orders from Jewish families from all across Metro Detroit, reaching a wide spectrum of Jewish streams. “Barbecue is easily relatable and hard to replicate kosher easily, so I think that helped,” Goldberg says. FHDS President Leah Ann Kleinfeldt and grandson Avi Selesny work the packing line. To kick off the fundraiser, Metevia held a brisket-carving workshop on June 17, providing education and free samples to participants. After some fun, the Slows team prepped for the main event, requiring them to stay awake from Sunday through Monday as they smoked nearly 700 pounds of brisket, which yielded about 325 pounds for orders. They sold 450 pounds of smoked chicken. The meat was prepared under Vaad kosher supervision throughout the entire cooking process. A FHDS board member even created a “Tikkun Layl BBQ,” offering Torah study for these volunteers through the wee hours of the morning. The afternoon of June 18, as people were picking up their orders, the welcoming smell of the freshly smoked delicacies greeted them in the FHDS parking lot. Sarah Kornblum packs up and Polina Stryk picks up her order; hers was among 125 orders placed. Although proceeds from the fundraiser were not released, Winer said it was a successful event. Metevia led his volunteers without fail, all of whom were decked out in Slows attire. He maintained his usual high standards, even refusing to serve a pan of chicken that didn’t cook evenly in the smoker. For Metevia, a major highlight was being told he was “a real mentsh.” While that may help seal the deal for future projects together, FHDS and Slows Bar-B-Q happen to be a perfect pair.